I can't even tell you how many toothbrushes our boys go through. Too many, it's actually quite ridiculous. They are constantly falling on the floor or being taken into other rooms in the house and ending up lost in toy boxes or under the sofa. Very hygienic right?! I think the best thing for children is to have a fun toothbrush. Something that encourages them to clean their teeth and to keep their toothbrushes safe (and clean) on the windowsill. 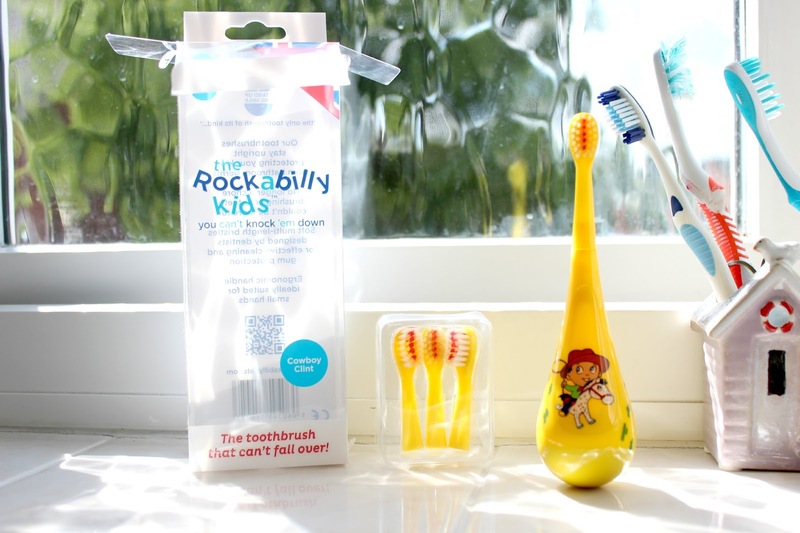 The Rockabilly Kids Toothbrush, from Stand Up and Smile, is just right for any child and is Europe’s first self-standing toothbrush. The patented product also promises to make cleaning teeth a lot more fun! There are 6 designs and colours available, all of which really appeal to children. Each pack comes with 3 replacement toothbrush heads, along with one which is already attached to the toothbrush. The reason for this is that the toothbrush then lasts for a whole year (as toothbrushes are supposed to be replaced every 3 months). With an RRP of £6.99 I can't see any reason to not purchase one of these fantastic toothbrushes for your child. *The National Science Foundation in the USA rated the toothbrush holder the 3rd dirtiest item within an average household. They found an average of 30 % more coliform bacteria (a family relative to both E.Coli and Salmonella ) when compared to a typical toilet seat. 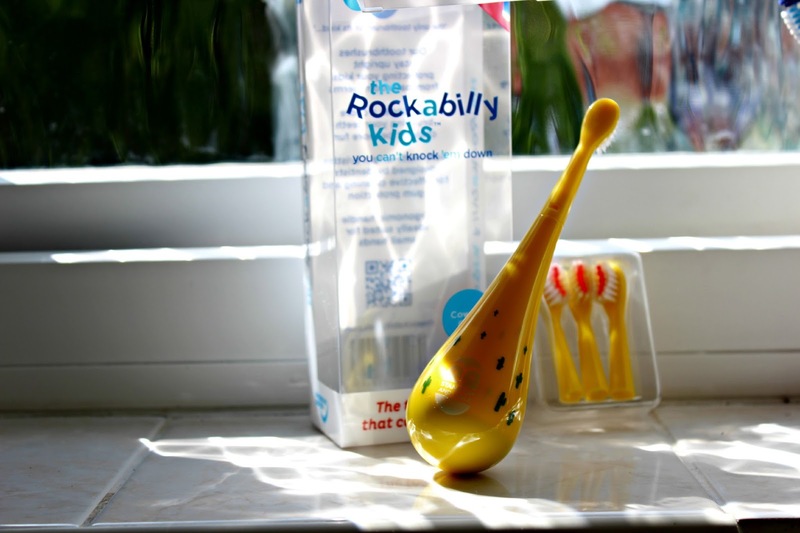 We were sent the Cowboy Rockabilly Toothbrush for the purpose of this review.